Foodspotting, an app favorite for food photographers, launched less than a year and a half ago. Today, it announces a major milestone: It’s app has just hit the 1 million download mark. Foodspotting began in 2009 when cofounders Alexa Andrzejewski, Ted Grubb and Soraya Darabi put their heads together to address what they felt was a lack of proper food reviewing apps. A few months later, they launched in beta at SXSW Interactive in March 2010. My favorite way to describe Foodspotting? If Flickr and Foursquare went out on a date, ate too many oysters and drank too much champagne, the result 9 months later would look very much like Foodspotting. Using the mobile app, users can snap a photo of a dish, tag it and share it with friends on Foodspotting or via Twitter, Facebook, Foursquare, etc. It’s also a helpful guide if you’re ever looking to spark your appetite. 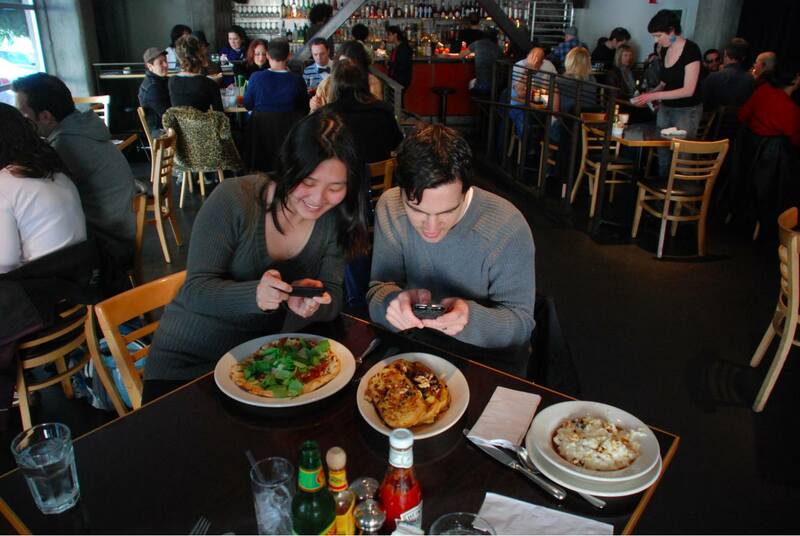 Simply open the app and search for photos of food taken nearby. As more and more people started using the app, Foodspotting says it noticed that people weren’t just launching Foodspotting when they were hungry but that they were browsing and “wanting” foods all around the world, all throughout the day. Foodspotting’s web app currently lets you follow your favorite people, places and dishes and it’s now turning on this social function for its iPhone and Android apps. The new app lets you see your friends on Foodspotting, follow your friends’ recommendations as well as experts like the Travel Channel, Marcus Samuelsson, Mario Batali and Wolfgang Puck. You’ll be able to see your favorite restaurants and foods and your activity, sightings and profile, now with a bigger picture. Check out the new apps for Android and iOS here. And update for Windows Mobile is in the works. BlackBerry development, still ongoing.